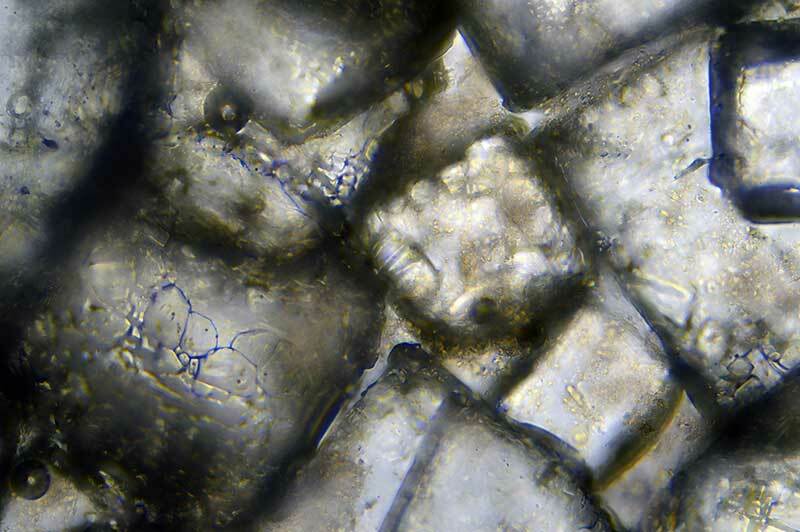 This digital micrograph photograph of salt crystals uses focus stacking to capture their intricate terrain. 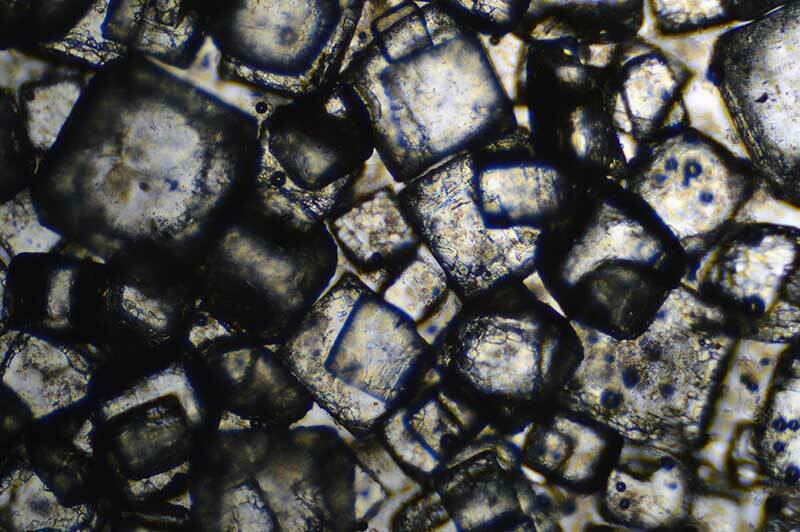 This digital micrograph photograph of salt crystals uses focus stacking to capture their intricate terrain. By using the focus stacking technique, the image captures most all levels of the salt crystals as they (together) create a remarkable micro terrain. The process of photographing in layers is quite interesting, especially when extending this way of creating and capturing design toward other mediums. For instance, what would an image look like if all layers of a building were visible at once? Or if all video game behaviors were visible at once? Would the image become a jumbled mess? Or would certain patterns and behaviors pierce through the layered and vast amounts of information? Also, it is quite interesting to use a design tool (like a camera) to capture what the naked human eye cannot capture on its own. Ask yourself, how can you use different tools to help you see not only more deeply, but also more differently, into your creations.